As a leader in high-value, low-cost paperback textbooks, 4LTR Press has saved students money. Now, 4LTR Press Online adds an innovative digital experience that makes learning even more engaging and affordable. 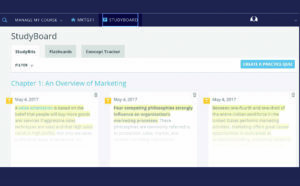 Interactive study tools including flashcards, practice tests and quizzes engage students to study with resources beyond reading traditional texts. 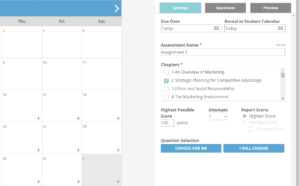 The flexibility of the resources enables students to study independently or they can easily be incorporated into your teaching. 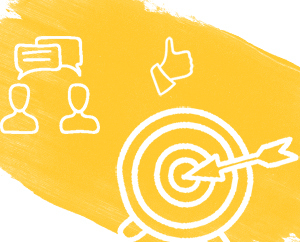 Each solution is designed around student preferences and faculty needs. The development process begins with student research and incorporates student and faculty feedback throughout. Every 4TLR Press Online solution is available with a print text to enable students to access study resources whether they’re studying at home, in the library or ‘on the go’. Online reading and study resources can be accessed on smart phones, tablets, eReaders and laptops. 89% of students say they would recommend 4LTR Press Online to a friend taking the course next semester. At Southeast Community College… students’ homework grades improved from 79% to 85% over one semester, as the professor switched to 4LTR Press titles. Over the last 10 years, 4LTR Press has been used by over 4.5 million students, more than 2,000 universities, across 30 countries. 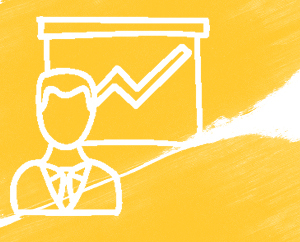 When you adopt 4LTR Press Online, a dedicated team of experts provides proactive, ongoing support that includes course set-up, usage statistics and check-ins. Need to talk? 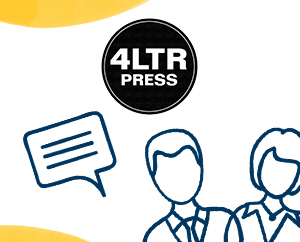 Your adoption of 4LTR Press Online provides you with an unparalleled level of personalised service, support and training for you and your students. 4LTR Press Online integration is available with Learning Management Systems that support IMS Basic LTI Open Standards. Enhanced features include grade synchronisation. Let a member of our digital solutions team walk you through a demonstration of 4LTR Press Online so that you can see the benefits and features for yourself.